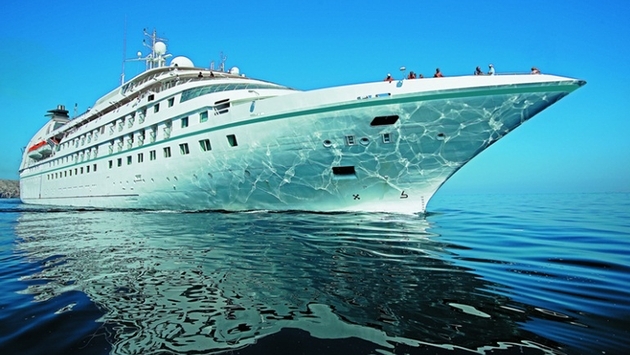 Windstar Cruises announced today that it will be making major renovations to its Star Pride luxury yacht. Once Windstar takes delivery of Star Pride on April 17 in Barcelona, it will be transforming the yacht’s public spaces, suites, and dining venues, in conjunction with Alan McVitty and Trimline Interiors. The majority of public areas will receive updated décor, complete with new furnishings, upholstery, lighting, wall coverings, carpeting, ceiling finishes, window treatments, and floor coverings. The enhanced color palette combines sand and marine shades to contrast with the warmth of wood finishes. The indoor observation area on the top deck of the Yacht Club will become a chic coffee bar and lounge, where guests enjoy espresso and various sandwiches and pastries while relaxing with a good book, exploring their iPads with WiFi, or just watching the coast line as they sail to the next destination. The area will receive a complete overhaul, with new Amtico flooring, furniture, and an open layout that embraces the view. The club space will turn into Windstar’s popular Compass Rose, redesigned with all new contemporary furnishings, including rich new flooring finishes, plantation shutters, and comfortable chairs and bar stools designed for socializing. Live music can be found here nightly. The reception area will be refreshed with new paneling, light fixtures, and wall coverings. An additional desk for guests to consult with the destination manager and guest service manager will also be added. The Star Bar, an outdoor deck bar, will offer casual drinks during the day and a venue for star-gazing by night. The bar area will be expanded with teak decking, new stools, and lighting. All restaurants will be transformed, where dining experiences are complimentary and there is no dress code. Windstar’s formal dining experience will be introduced as AmphorA Restaurant. The main dining room will be redesigned, featuring mirror panels with Murano glass, new soft lighting, wall coverings, and art work. The room will feature a new seating layout; setting the stage for Windstar’s signature dining experience featuring contemporary, international menus and fresh, local dishes. The restaurant in the aft of the yacht will be a buffet during the day, with outdoor seating highlighting Veranda’s new look. At night the venue will transform to Candles Grill, where guests can dine with table service under the stars. In addition, all 106 suites will be renovated to showcase new furnishings, leather headboards, plush sofas and chairs, drapes, new lighting features, window coverings, plush carpeting, new art work, stylish bed cushions, and luxurious bed throws. The suites will feature a warm color palette. 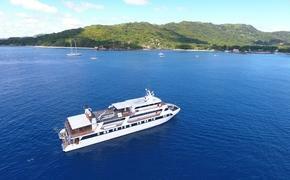 The Owner’s Suites—such as the Bora Bora Suite—will now showcase Windstar destinations. Star Pride also will come complete with music, a 5-star deck barbecue gala, an open bridge where you can talk to the captain and officers, a watersports platform and luxurious amenities. Star Pride will travel to and from the Black Sea, the Aegean Sea, Athens, Istanbul, Rome, Venice and Monte Carlo in Europe. There are also trips to Arabia and India, as well as Southeast Asia.